- Create educational tools designed to help parents, teachers, and communities to identify when necessary to intervene with those as high-risk. It is our belief that the solution lies in a new, different, and fresh approach. We intend to use a simple model of educating parents, teachers, children, and communities about this disease. We believe that increasing awareness if the first step to change - change in the way this disease is viewed; change in the way it is identified and prevented; and change in the way people who have disease are viewed by society. Brent Shapiro was born on November 7th, 1980 to Robert and Linell Shapiro and later joined by his younger brother Grant. He grew up in Los Angeles in a loving home and had a group of tight-knit friends. he was a true athlete and loved sports, especially ice hockey. Brent's problem with alcohol and drugs began in his early teens. Experimentation, typical of that age, turned into a battle for his life. Over the next few years, he went to rehab several times. In his early 20s, Brent turned his life around. He was finishing up at the University of Southern California (USC) and had plans to attend law school. he red recently become engaged and been sober for eighteen months. On the evening of October 9th, 2005, Brent thought he could experiment with alcohol once more. After a few drinks, he took 1/2 a tab of Ecstasy and almost became instantly ill. He was buried a day and a half later. The family founded this organization to honor Brent and his life, but more importantly to do its part in creating awareness about this disease of chemical dependence and halting its spread. The Brent Shapiro Foundation each year! Please go to www.BrentShapiro.org and become a donor! I really enjoyed attending this worthwhile Fundraiser! Please Copy & Paste the LINK above and send it to your Friends, Family, Associates, and More SHARE with EVERYONE * EVERYWHERE! 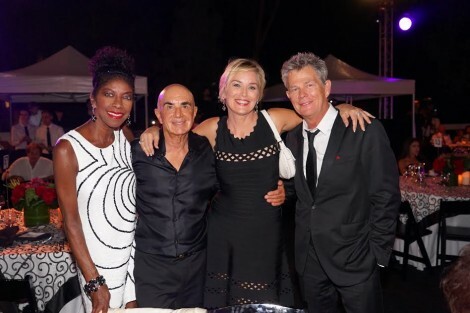 One of the most highly anticipated annual gala events in Southern California is the Brent Shapiro Foundation Summer Spectacular which was held at the estate of Mei Sze and Jeff Greene, one of Beverly Hills’ most impressive mega estates. Legendary attorney Robert Shapiro with his wife Linell and their son Grant, founded the Brent Shapiro Foundation to honor Brent and his life and to create alcohol and drug addiction awareness. Their son, Brent had lost his life one evening after drug and alcohol use. Entering the estate to a courtyard fountain worthy of a 5 star hotel, guests mingled with mocktails at the hors d’oeuvre stations before joining for a sit down dinner catered by Wolfgang Puck by the reflection pool and a theatrical fashion show by G by Gil. In Sinatra style, Robert Davi captivated the audience with his Sinatra renditions. LA Lakers VIP Experience with front row seats on the floor, Indianapolis 500 VIP package complete with drivers meeting and a VIP party with the Chairman of the Board of the Indianapolis Motor Speedway, 5 Star Cabo Azul package, Manny Pacquiao Fight Package to Macau were some of the auction items. Socialites, VIPs and entertainment personalities in attendance included Larry King, Harry Hamlin and Lisa Rinna, Ted Danson, Adrienne Maloof, Prince Frederic von Anhalt, Paula Abdul, Sugar Ray Leonard, Pat O’Brien, Berry Gordy, Jacob Busch, Jesse Heiman, Bai Ling, Tess Broussard, Reggie Benjamin, John Savage and Blanca Blanco. Kris and Bruce Jenner, Robert Duvall, Ryan O’Neal, Nicole Richie, Adrienne Maloof, Buzz Aldrin, Rick and Kathy Hilton, Larry King, Chris Kennedy Lawford, Marcy Miller and Gloria Allred were just some of the names who helped to raise $500,000 for the The Brent Shapiro Foundation on Saturday night. They were among the 800 guests who attended the Summer Spectacular benefit, which raised money for alcohol and drug awareness. The crowd gathered at Jeff Greene’s five-acre, 40,000 square foot estate in Beverly Hills to dine, bid and pay homage to Los Angeles attorney Shapiro’s son Brent, a USC student who unexpectedly in 2005 after an alcohol and ecstasy binge. The air of levity lifted however, after a dinner by Wolfgang Puck and an auction that included items like floor seats to the season opener of the Lakers and an African safari. The evening ended with a fashion show from Baracci of Beverly Hills. After the dinner by Wolfgang Puck, Shapiro served as auctioneer selling things like jewelry, ringside seats to a boxing match, floor seats to the opening Lakers game and even an African safari. The evening ended with a runway fashion show featuring gowns and more from Baracci of Beverly Hills. Pat O’Brien served as the Master of Ceremonies while Chris Rene of “X-Factor” provided the evening’s musical entertainment. Attorney Robert Shapiro and his family founded the non-profit after the tragic death of their son in 2005 to raise money and to increase awareness of the problem. This year, Christopher Kennedy Lawford received the Spirit of Recovery Award from emcee Pat O’Brien. Both are recovering addicts. Hollywood celebrities including Robert Duvall, Ryan O’Neal, Bai Ling, Richard Grieco, Catherine Bach, Drew Seeley, Nicole Richie, Gloria Allred, and Kris and Bruce Jenner were among more than 700 people Saturday evening at the annual Summer Spectacular, which raised more than $500,000 for The Brent Shapiro Foundation for Alcohol and Drug Awareness. 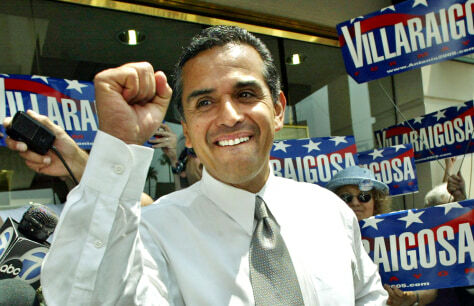 Founded in 2006 by Los Angeles attorney Robert Shapiro, who was one of O.J. Simpson’s lawyers, and his family, the foundation honors the memory of his son Brent, a USC student who died suddenly in 2005 after drinking alcohol and taking ecstasy. The organization creates awareness about addictive diseases including chemical dependence and finds ways to help halt its spread. Teens who stay clean and sober will attend events where top DJs will play music and they will receive tutoring to help prepare them for school and to encourage them to go on to higher education. Each week they will be given a simple saliva test (conducted with a cotton swab of the tongue) and if they are clean, they will get a grab bag of gifts, Shapiro explained. If they stay sober for a full school year, they will be given a cell phone to use the following year. If they graduate, they will qualify for college scholarships provided by the foundation. Two students were singled out for scholarships, both from Phoenix House, a Los Angeles non-profit that supports individuals, families, and communities affected by substance abuse and dependency. A young woman named Audrey told her own story of using drugs, getting pregnant, having an abortion, and having her life spiral out of control until she received help. Her goal now is to attend community college and then UCLA on the Shapiro Foundation Scholarship. “Bob and his family have turned a huge horrible situation into something positive,” said Pat O’Brien, the sports and entertainment show host who has fought his own battles with addiction in a very public way. 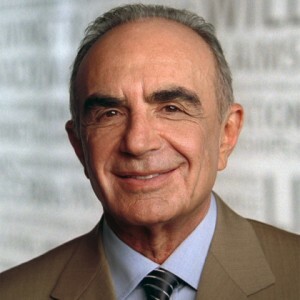 Robert Shapiro said they were also celebrating the passage by the state of California of the ‘911 Good Samaritan Overdose Response Act’ (AB 472), to provide protection against arrest for minor drug law violations for anyone who summons emergency medical assistance to prevent a fatal overdose. Shapiro said Gov. Brown had just signed the bill into law. Some of the most poignant remarks came from Christopher Kennedy Lawford, the son of the late actor Peter Lawford and Patricia Kennedy, whose brothers included President John F. Kennedy and Senators Robert and Ted Kennedy. He was awarded the Spirit of Recovery Award, which was previously given to Kelly Osborne and Sugar Ray Leonard. Lawford said he now has three children and they have never seen him take a drink. O’Brien said he sees Lawford almost every week when both attend meetings of Alcoholics Anonymous. “I accept this award not for me,” said Lawford, “because I don’t want awards, but for families, for my family and for those who help. My ex boss Evans that called the man next to him, Robert Shapiro his brother. When Evans was writing 'The Kid Stays in the Picture'...it was the chapters about Shapiro that brought him to strong emotions. Love them both! Hundreds of loyal Supporters and Friends gathered in the Backyard for Dinner, Auctions, Entertainment, and a Fashion Show to Help support The Brent Shapiro Foundation Fundraiser! I hope you Support this important cause too! The Brian Shapiro Foundation fundraiser!